Our clothes and the fabric scraps I collected from huge piles outside of garment factories in Bangladesh, represent bookends. In between these bookends are women who are laboring in unsafe sweatshops and are grossly underpaid. It is through the complicated pathway of a supply chain and the global economy that our clothes connect us to the labor of these women. 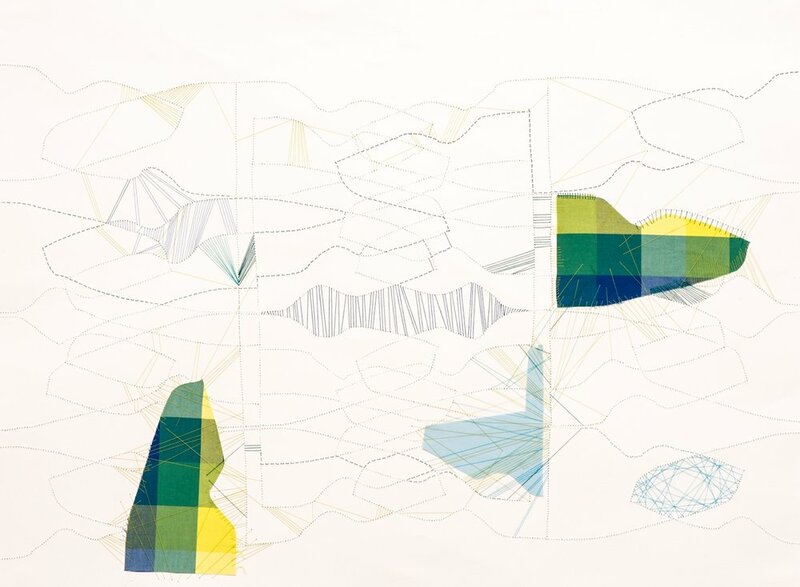 These drawings incorporate fabric scraps from Bangladesh and reference complex garment supply chains in the form of an abstract map. These works seek to make transparent the very opaque and complex system by which our clothes arrive to our bodies.